An ALMA antenna at the Operations Support Facility (OSF), located at 2900 m altitude on the road to the Chajnantor plateau. 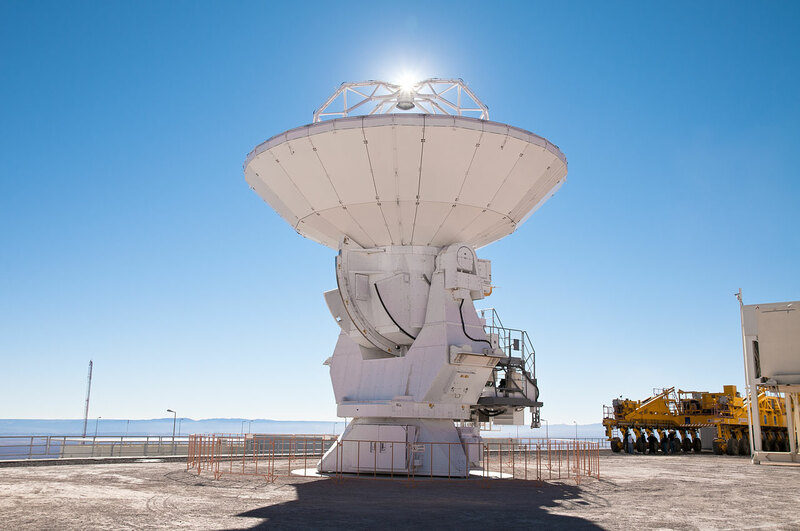 ALMA will be a single telescope of revolutionary design, composed initially of 66 high precision antennas to observe the Universe at millimetre and submillimetre wavelengths. 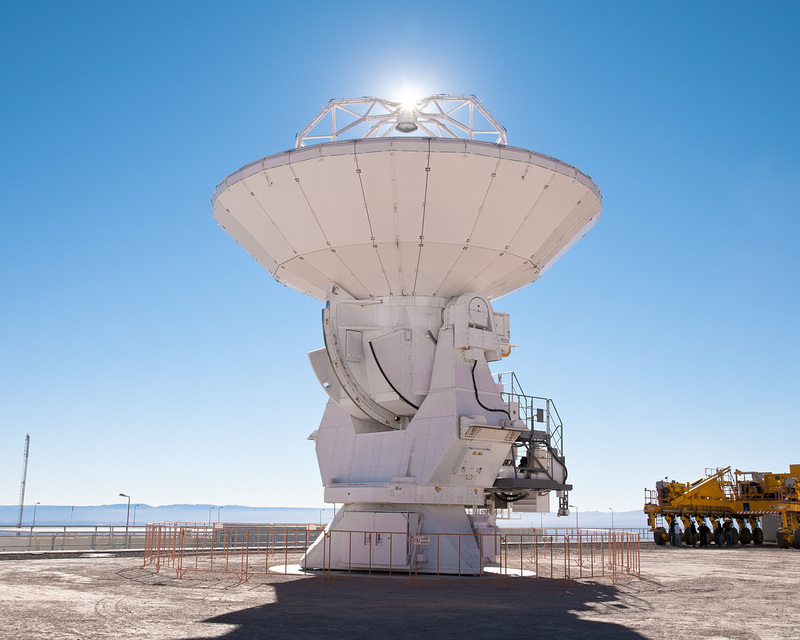 ALMA is the largest radio telescope in the world, currently under construction at 5000 m altitude on the Chajnantor plateau, in the Chilean Andes.